We know that facing Christmas can be a daunting prospect for many of you. At a time when children are often at the forefront of everyone’s minds, many of you will be thinking about your lost babies and what might have been. One special way to remember your babies at this (and any other) time of the year is by placing a message on our Stars of Remembrance page. 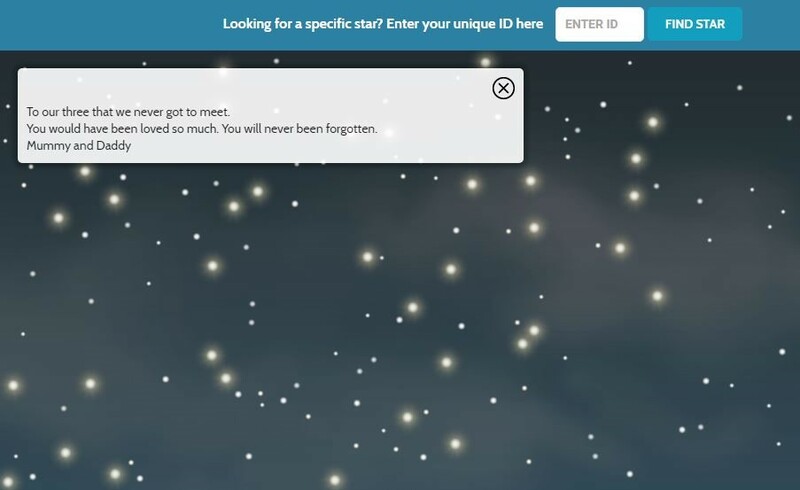 Your message will be attached to a star which will be there for you to find whenever you visit the website. Please just bear in mind that we can only add your message during office hours – Mon-Fri 9 a.m. to 4 p.m., but not Christmas or Boxing Day. You can use our Facebook page and groups at any time to share your thoughts and feelings with others. Here’s hoping you have a gentle and peaceful holiday season and a happy 2018. From all of us at the Miscarriage Association.